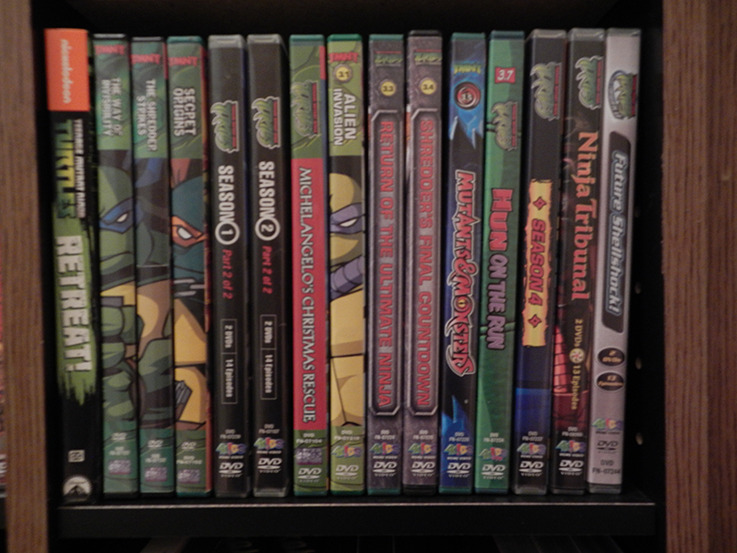 I've mainly made it my goal to find every Region 1 4Kids DVD release of the 2K3 series, as hard to find to find as they are. I believe 30 of them were made? I have at least half. 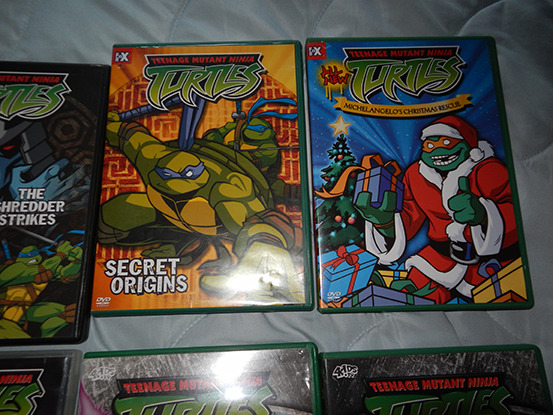 I seriously can't believe the 4kids show is so rare to own... Good luck on that! Managed to snag another 4Kids dvd at a used book store! 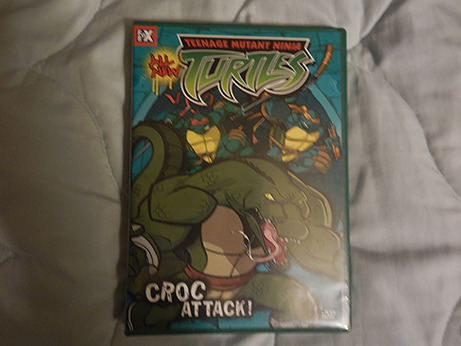 A bit chewed up when I bought, but I don't think I will ever get a chance to find this again. 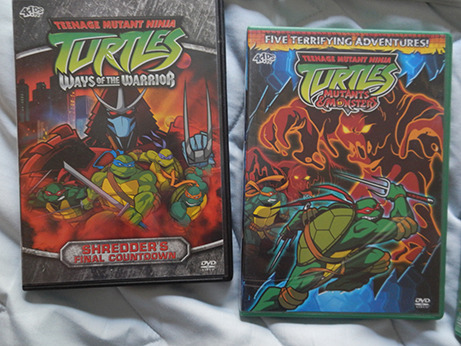 Looks like you could just swap out the DVD case for a mintier one and it will look pretty good! I believe 30 of them were made? 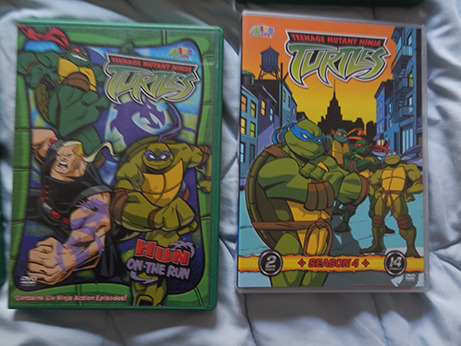 I had no idea that the 4kids series is so rare on DVD. Glad I'm an Aussie and we got the full run. 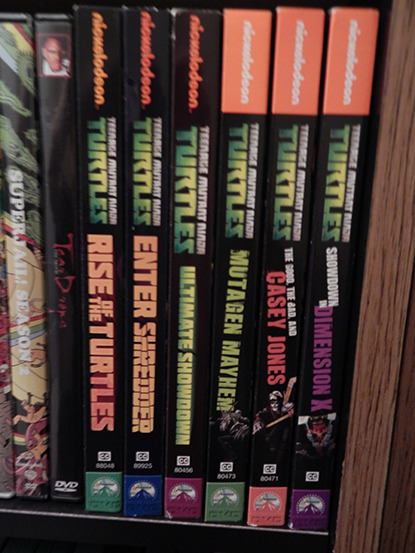 My Nephew has full custody of them at the moment (he is 15 and keeps good care of them, Veronica Taylor has signed Forever). Next time I'm back in my hometown I'll take some pics. 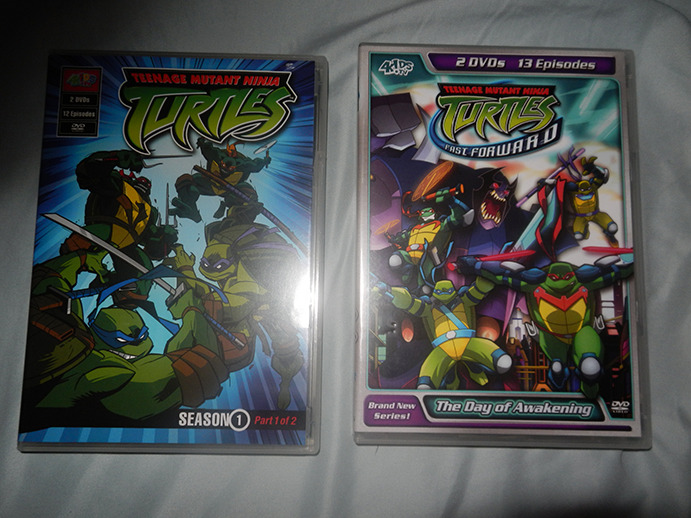 Looks like you already have some of the rarer 4kids DVDs. Good luck with the rest! 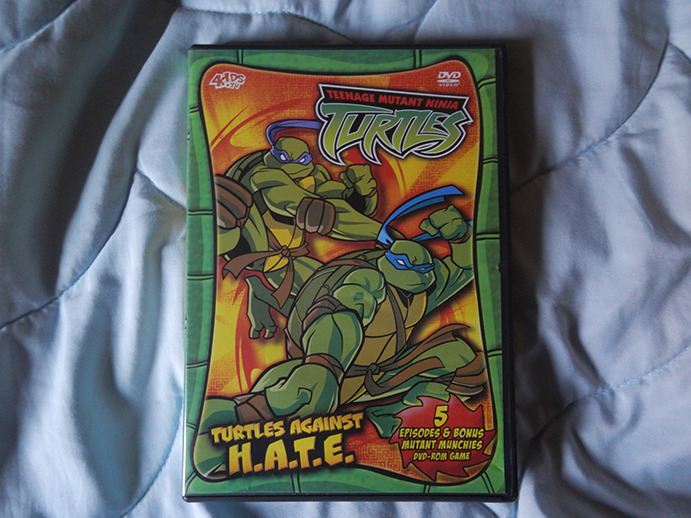 A very, very belated shout out to evan2000 who traded me this awesome copy of Turtles Against H.A.T.E. Thanks man! Sorry it took me so long. Thanks for all the compliments folks. I still have a few more to go. Are you gonna get the Nick 2003 releases? No plans, unless they start releasing full-season sets. Two down, two to go. 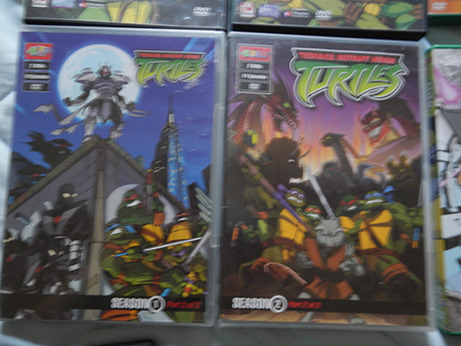 ("TMNT Season 2 Part 1" and "Season 3.2: Worlds Collide"; not including the individual volumes.) 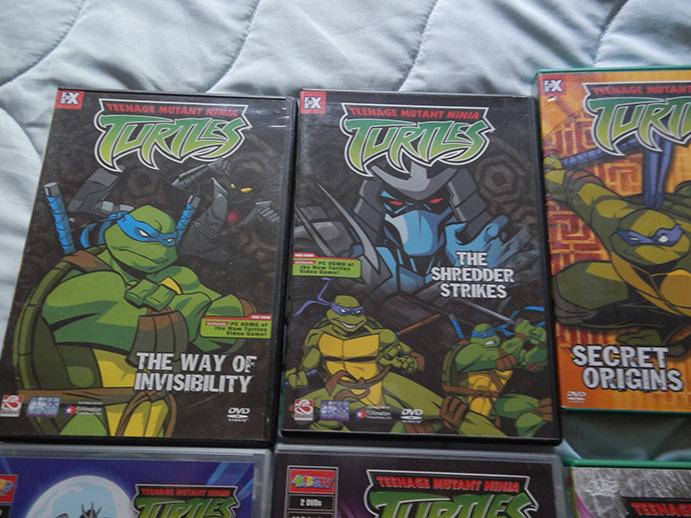 Then I'll own the entirety of the first six seasons! Let's take a look at those pric- Ooohhhhh...Damn. 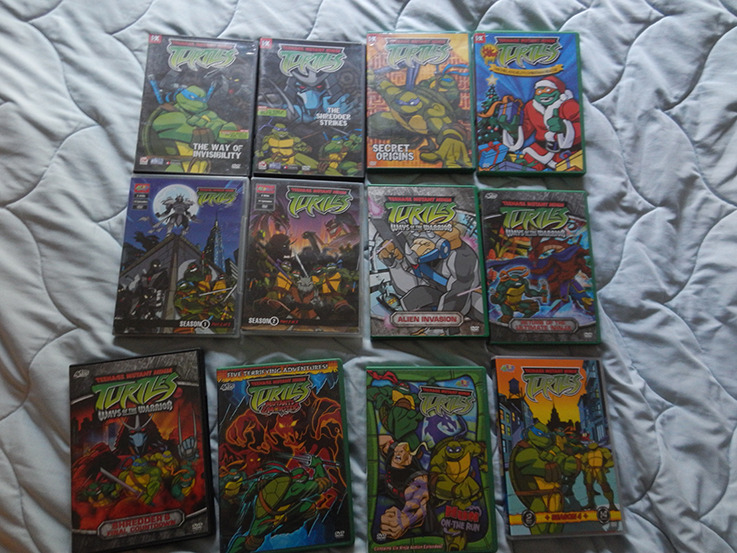 80 to 150 bucks for Season 2 Part 1. 50 to 250 for Season 3.2. Wait....I linked the prices to Amazon in the first place, and it just switched to a site called Rakuten. Last edited by TLP; 10-26-2015 at 08:06 AM. 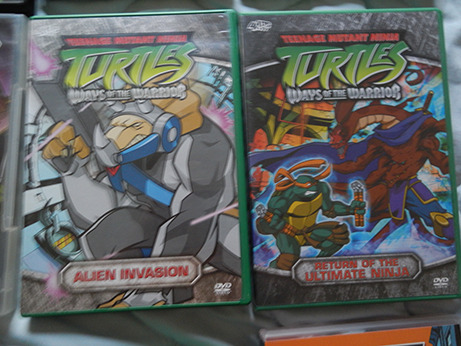 TMNT - Season 3.2: Worlds Collide. Next time I post images, it will be when I own them all. You see that cheap price? 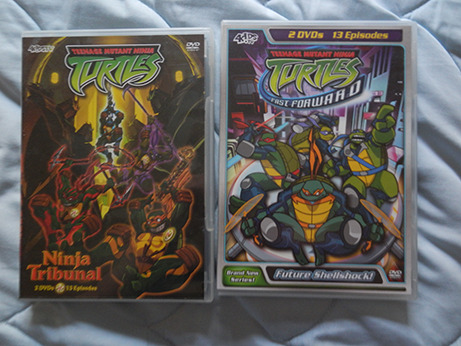 I bought it a month ago, eagerly awaiting one of the three remaining dvds I needed for my 2K3 collection. I don't even remember who the seller was, so I really can't say "DO NOT fall for it, let alone buy it from him." Guys, you have no idea how f***ing infuriated I am right now. 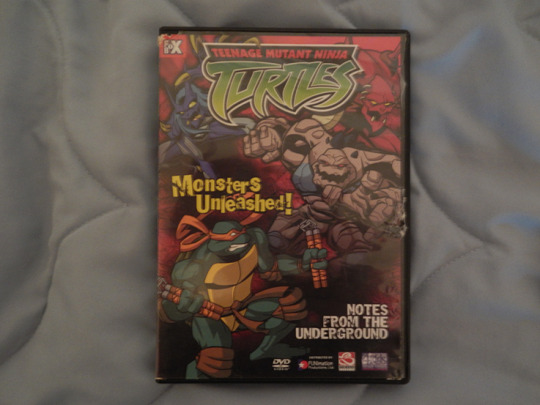 Not only have I been cheated out of another rare TMNT 2K3 dvd with a freaking blank disc, but also the very fact that the seller is too chicken to give up his original, precious Region 2 copy and didn't put any effort to make it look good is nothing short of pathetic. How hard is it to print off the slip paper, get a blank disc case and replicate the whole thing? If I'm lucky, one of these other sellers selling it cheap may own an actual copy...but considering my luck, they could have all been scammed by the same guy. Last edited by TLP; 12-14-2015 at 02:44 PM.